We hope you all are having very happy holidays. 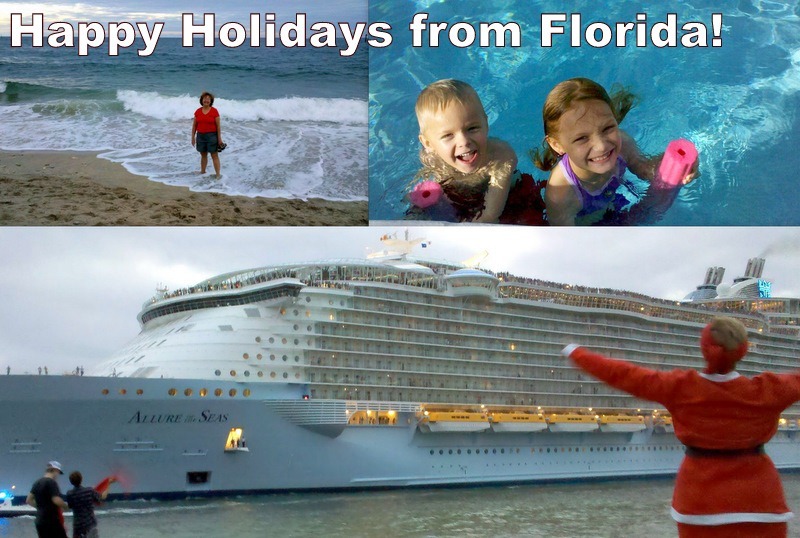 We are spending them in typical holiday style by going to the beach, watching cruise ships sail, and splashing with the grandkids in the pool! My apologies to our friends in the northern climates, we just can’t help but rub it in when we’re in Fort Lauderdale, Florida this time of year! There is no better time to become a member of Geeks on Tour. Our $39 price goes up to $68 after the first of the year, but you can lock in the low $39/year if you sign up right now. Since this newsletter is a bit late, we will postpone our rate-hike until next Wednesday – 1/4/2012. If you are already a member and would like to switch to a recurring payment to lock in the $39 for years to come, click here and login. Forum: Paid membership also gives you access to ask questions in our forum where we (Chris or Jim aka Mrs. Geek or Mr. Geek) promise to respond. There will be a fee for coaching calls, but this service will only be available to members. eBooks: With our rate increase, we will also make our ebooks (Picasa and Windows Boot Camp) available at no additional charge to recurring members. This is a joint rally with our friends at TechnoRV. Please follow the link to see details, indicate your interest, and join the conversation. We will be open for registration in mid-January. When you upload a photo to your blog using Blogger, it is stored in an album on this photo-sharing website. 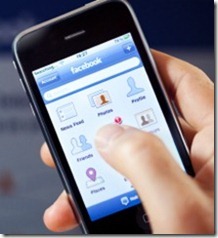 True or False – in Facebook, your ‘Wall’ and your ‘Home’ page are the same thing.. The generic name for the application that allows you to view websites. Examples are Internet Explorer, Firefox, and Chrome. Our Q&A Forums are a good place to ask questions, here are some examples from the past month. Anyone can read the Q&A, but you must be a member to post. Word Document with Pictures for a Blog post? Do you have questions like this? If you are a member of Geeks on Tour, you can ask anything you want in the forum. Mr. or Mrs. Geek promise to respond, and we have several other knowledgeable members who will add to the conversation. If you’re not a member, Join before the end of the year and lock in our low $39/year price because it goes up after Jan 1. Computer Training is our business, and has been since 1983. The picture at right is me (Chris) in one of our classrooms during our 10 year anniversary at Computer Savvy. We’ve seen lots of changes, from DOS to Windows and Macintosh, from CompuServe and 300 baud dial-up modems to Web and wireless broadband, from VisiCalc and WordStar to Excel to Google Docs and Blogger, and the birth of digital photography. But, even in that whirlwind of innovation and change, this year stands out with the use of smart phones, tablets, and Facebook. Not since the office fax machine have I seen such a new technology being used by so many people so quickly. When we became fulltime RVers in 2003, we left the world of teaching business applications and learned about the fun stuff like managing digital photos and using maps and GPS navigation. We focused on computer training for travelers. We are travelers and we teach travelers. We pay attention to the technology we find the most useful – and fun – to travelers. Jim got his Droid smart phone in 2009, I followed in 2010, and it quickly became our favorite device. It did everything we travelers like – take pictures, help us navigate, do our email – and it stayed right in our pocket. We think every traveler should have one – and this year, it seems like everyone does! And, not just travelers, but truly everyone! I’ve read that it took 60 years for telephones to be adopted by 90% of the population, I think we’re easily on track for 6 years and 90% adoption of smart phones! I joined Facebook in 2008, I don’t even remember why. It was probably to become ‘friends’ with Jim Guld! He was already on Facebook and liked it. Today it has become an astonishingly effective tool for keeping in touch with far flung friends and fellow travelers. Some people think it’s for youngsters – but that is just not true. 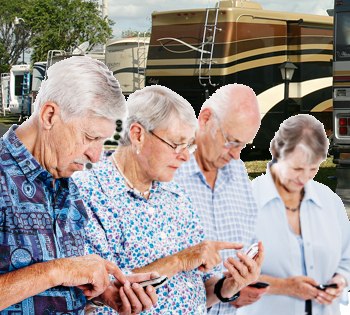 Whenever we teach our seminars at RV rallies, we ask for a raise of hands on who uses Facebook. Would you believe that hands always go up for a majority of that primarily senior crowd?! Geeks on Tour officially began in 2006. Our most popular topic then was how to connect to the Internet on the road. Within 3 years our ‘Managing Digital Photos with Picasa’ became the clear winner of the popularity contest, we even started a separate website, www.PicasaTutorials.com. For 2011 our Facebook seminars drew the biggest crowds. In 2012 we’ll be working on the best way to teach people about using their smart phones. That is, as soon as we can catch our breath! Throughout the year we write articles and record videos on our GeeksOnTour.com website, as well as for PicasaTutorials.com and RV.net. As 2011 comes to a close, we want to remind you about some of our favorites from the past year. Dec 2011 – Google came out with a new version of Picasa – version 3.9. There are some major differences between this version and its predecessor, version 3.8. Hate Typing on your Droid? Try Swype instead. Swype is a new way to type on mobile/touch-screen devices. Instead of needing to lift your finger from the screen after each character, you only lift your finger after each word. You touch the first character of your word, then, keeping your finger on the screen, you swype to the subsequent characters. I love my Droid, I now take the majority of my pictures with my Droid smartphone. This article is about how to import them to your computer. It’s a lot simpler than you might think. Our little book on Picasa caught the attention of a Computer Club in the San Franciso Bay area – The Golden Gate Computer Society. They have a tradition of reviewing computer books and contacted us to see if we would send them a copy for review..
You know we love our Droids! This ‘touch an address’ feature, we just gotta show you. This is a very short video showing you how to simply touch an address and let Droid take you there! Coming to you from upstate New York, this video was filmed inside the motorhome at Chris’s new office where she shows you how to turn a laptop into a desktop and Jim shows you his new iPad! When I first heard of Dropbox I was skeptical, I thought it was a way to work with your files directly on the Web – something that just isn’t practical in our world with flaky Internet connections as we travel. But no … what it actually does is to upload a file to the web, then download it to your other computers. Without getting unnecessarily technical, we are talking about the technology that Cellular communications companies use to deliver wireless Internet connectivity. The ‘G’ stands for ‘Generation’ so 3G is third generation technology and 4G is fourth generation technology. 4G is better. It’s faster and it goes farther. That’s the good news. I’ve started using Tags much more extensively. Tags are a way to attach an identifier to the picture itself. If you ever lose your album, they can be recreated from tags. It’s been a while since I’ve focused on Google Maps in this blog, and they’ve made so many improvements. If you’ve never visited Google Maps, you’re in for a treat. It’s completely web-based, ‘in the cloud’ according to the current lingo, so just head on over to www.maps.google.com. What you see depends on whether the little icon in the upper right is set to Map or Satellite. Blogger.com isn’t just for blogs anymore! With the addition of ‘Pages’ you can create full-blown websites using these free tools. Pages are standalone web pages that can supplement your blog ‘Posts.’ This video explains by showing you examples, then shows you step-by-step how to create pages, and how to set up a menu of Tabs, or sidebar links. Many travelers carry several devices that can connect to the Internet. Computers, iPads, iPods, iPhones, Androids, Blackberries, game consoles, printers, and more. These devices often use WiFi to connect. … To connect all your devices and have them all connect to the Internet, you can create a Local Area Network or LAN using a Wireless router. If you’ve ever used a forum to ask a questions, you know that a picture is truly worth 1,000 words. Let’s say for example that you want to ask, “What are the buttons at the top of each folder in Picasa?” Wouldn’t it be nice to have a picture of those buttons, so your reader knows exactly what you mean? As Geeks on Tour’s website has grown and improved we have maintained a very low annual membership fee of $39. On the first of 2012, we will be raising that fee (and adding new services), but you can lock it in now by subscribing to our Annual Recurring Membership of $39. Published by MrsGeek, in Newsletter. Tagged with Best of Geeks on Tour, Facebook, Geeks on Tour Membership, Smartphones. new to me. Regardless, I’m definitely happy I found it and I’ll be book-marking it and checking back often! Hurrah! In the end I got a weblog from where I can really get valuable data regarding my study and knowledge.